Rwanda’s strategically location in the Albertine Rift valley and it being endowed with dense forests as well as being surrounded with many mountains craters and recommendable beautiful natural surrounding where Eco-tourists on their Rwanda safaris can enjoy their trip. Despite of the fact that Rwanda is small land locked country; the country has been gifted with unique bird list estimated to be over 700 individual bird species and the small country is the only country with the second largest number of birds which are endemic to Albertine Rift. The famous Republic of Rwanda is very significant birding destination in Africa and the important birding areas which the country boasts of are mainly seven and these involve the three protected national park such as Nyungwe with 300 bird species, Akagera with over 400 bird species as well as the Volcanoes national park with 178 bird species. The other prominent bird watching areas where visitor’s on Rwanda tours and safaris include the Rugezi Swamp as well as Akanyaru, and Nyabarongo plus Cyamudongo. The pronounced wetlands areas especially the ones around Akagera national park are habitat to the endangered elusive Shoebill stork. 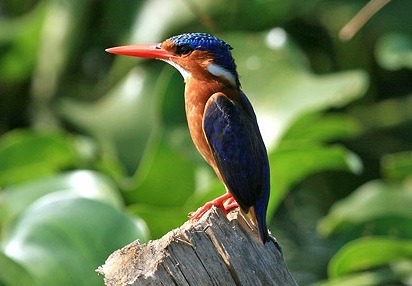 In addition , the pronounced Akagera national park favors the survival of combination of papyrus and acacia bird species and this include the rare Red-faced Barbet which only survives in the acacia vegetation, Papyrus Gonolek, Bennett’s Woodpecker, Miombo Wren-Warblers ,Carruther’s and Tabora Cisticolas, White-headed, Black and familiar Chats, White-winged and Broad-tailed Warblers. It is a very rewarding trip for travelers who under take bird watching safari to Rwanda’s Akagera national park because besides the bird life, one can also enjoy the view of big wildlife including even the water inhabitant hippo, wood land giraffes as well as the elephant. Setting Akagera side, one can have wonderful time when looking for the birds in the large, dense, unexplored motane rainforest of Nyungwe national park. With total of 300 bird species,a traveler on Rwanda birding safaris can enjoy the view of the twenty seven bird species which are regional endemic. Participating in canopy walk enables tourist also to watch the other unique bird life. The memorable experience is packed in volcanoes national park because tourists on their mountain gorilla safaris in the volcanoes national park have the greatest opportunity to watch the various bird life while hiking and walking in the volcanoes trails when looking for stunning mountain gorillas.